Today the Pokemon Centers in Japan released the Pokemon’s Tropical Sweets merchandise. 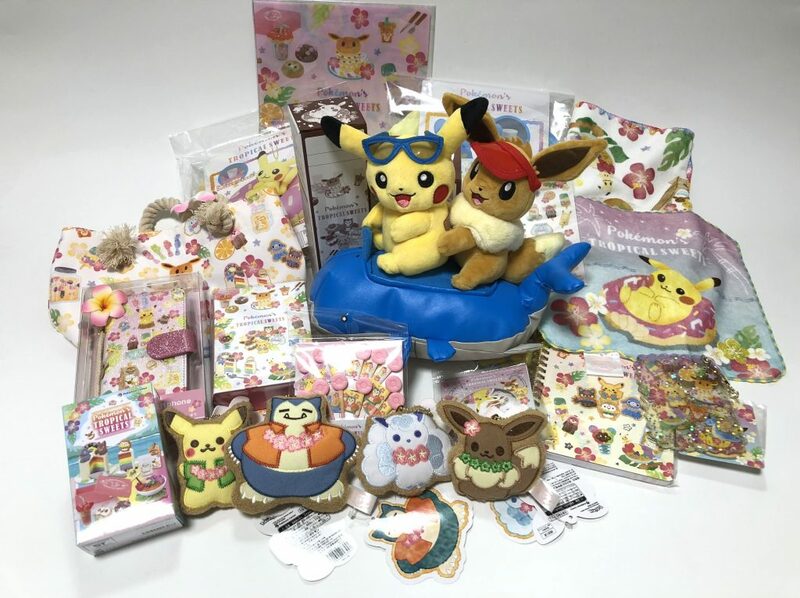 The merchandise features Alolan Vulpix, Snorlax, Lapras, Eevee, Pikachu and several other characters in a variety of merchandise all with an adorable sweets theme. The Eevee & Pikachu riding on Wailord is absolutely stunning! Wailord is made out of a leather-type material. They were flying off the shelves at the Pokemon Center. 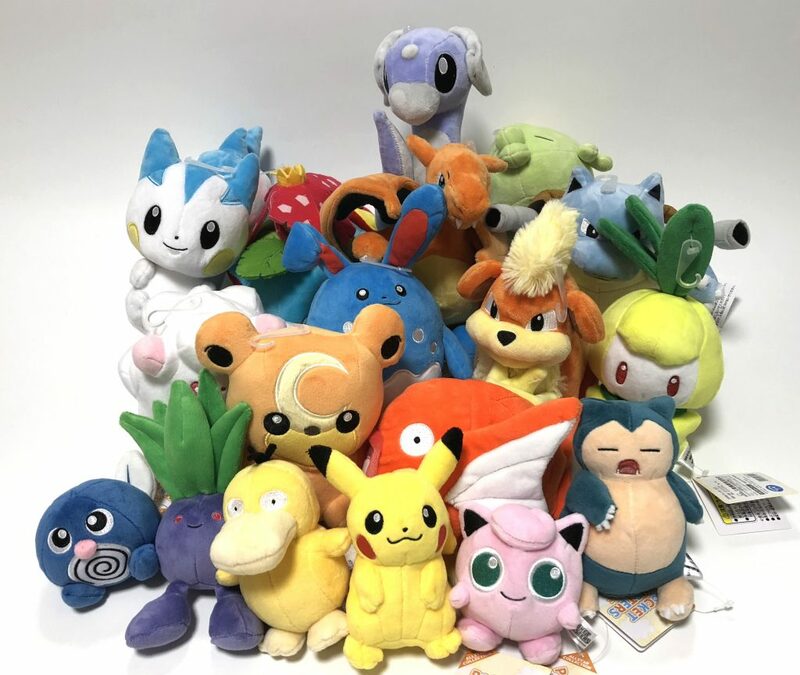 In addition there was several plush mascot keychains, a tote bag, iPhone case, stickers, blind packaged plastic figure sets, blow up floating drink holders of Lapras and Pikachu, towels, food picks, a thermos, glass jar mug and more. These items are very limited and will be gone soon, but they are of course currently available on Pokevault while supplies lasts. 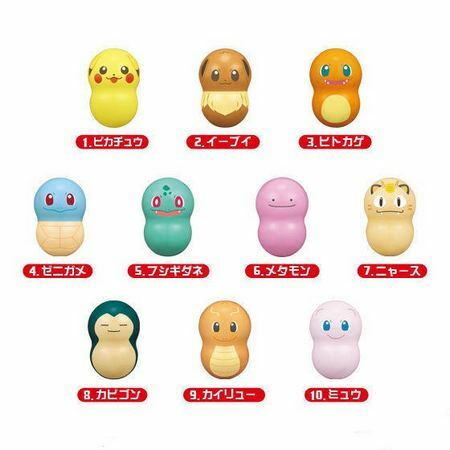 Today the Pokemon Centers in Japan released 12 new Pokemon San-Ei plushies and 6 mini plushies. 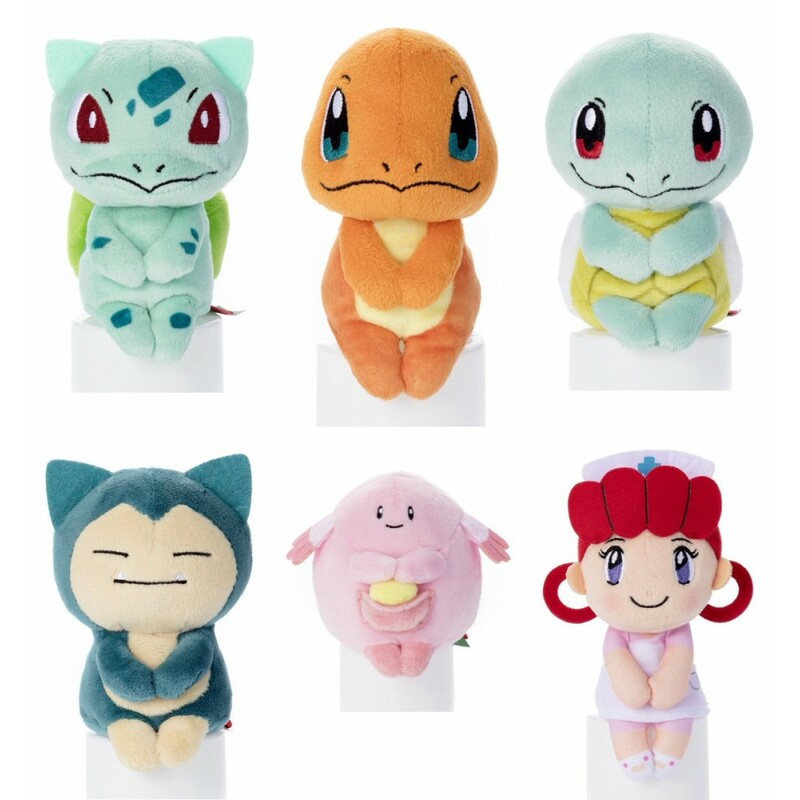 This is the first time that they have released mini plushies other than Pikachu and Bulbasaur back in 2017. The larger plushies were Charizard, Blastoise, Venusaur, Pachirisu, Growlithe, Azumarill, Petilil, Teddiursa and Magikarp. The mini size plushies were Pikachu, Psyduck, Jigglypuff, Oddish, Poliwag and Snorlax. For those of you who are not familiar with San Ei plushies, they are high quality plushies made with a small amount of beans inside for balance. The quality is extremely good (even better than Pokemon Center usually), but they are slightly more expensive than other plushies of similar size. The plushies varied in price with Charizard, Blastoise and Venusaur costing nearly double the normal price due to the explicit quality. I dont expect some of these to last long, but you can still find them on Pokevault. Todays release brings the number of San-Ei plushies to over 130 with more in production. Takara Tomy will be releasing 6 more Chokkori San mini plushies on June, 21, 2018, in Japan. For those of you who are not familiar with Chokkori San plushies, they are small size plushies that can sit on a table, in a cup, on your desk, etc. The word “Chokkori” means “a little” or “slightly” in English, so the name means they are in a slightly sitting position. They are very cute. Last time Takara Tomy released Brock, Misty, Jessie, James, Meowth, Vulpix, Pikachu, Psyduck and Ash Ketchum. 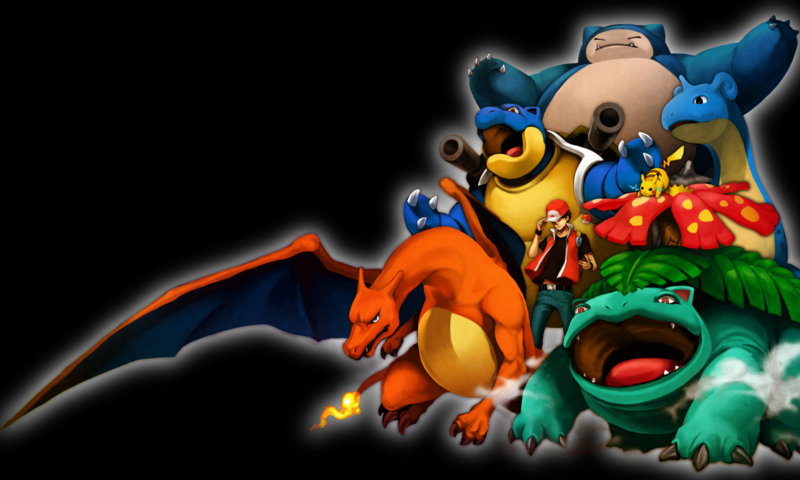 This time around it will be Bulbasaur, Charmander, Squirtle, Snorlax, Chansey and Nurse Joy! 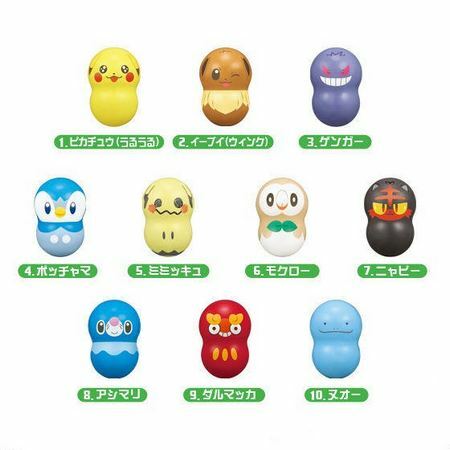 These will only be available in Japan, but you can of course get them on Pokevault after June 21, 2018. They will be in limited supply, so hurry if you want one of these little cuties. Prereleases are a fun way to get booster packs and utilize the cards right away via a tournament. Standard stores that hold prereleases allow a person to open six booster packs to create a forty card deck. Players also receive a free gift for entering the prerelease. For the Call of Legends Prerelease, a Snorlax holo was given out along with a deck box. I went to a prerelease in Brooklyn, NY with my friend. I went 3-2 while he went 2-3. When we arrived, we were given POP IDs during registration. Afterwards, we went upstairs to sit and wait for our booster packs. We were given six Call of Legends booster packs to open. The ratio for this set isn’t as great as previous sets, as my friend and I failed to pull a shiny card, which are the ultra-rares for this set. The main cards I pulled were Feraligatr, Skarmory, and Tyrogue rares. My friend pulled a Gyarados holo and Ampharos rare that he used in his deck. Although these cards aren’t top tier deck cards, they had to suffice when there aren’t that many top tier cards within the set.